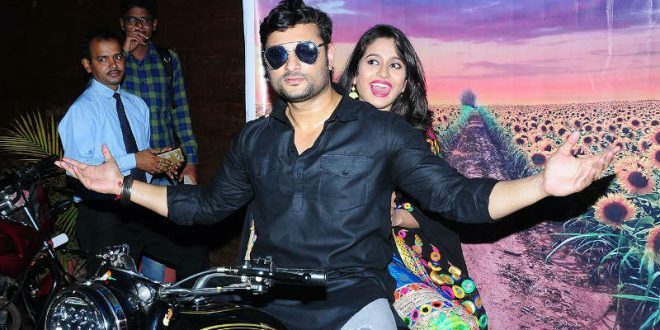 Bhubaneswar: Ollywood superstar Anubhav and Elina are coming together in their upcoming Odia movie ‘Kabula Barabula’. The film will be released in Dussehra this year. Vidisha kraft and A.B. Films brings the upcoming venture ‘Kabula Barabula-searching Laila’. The film is directed by Ramesh Rout and produced by Vijay Kandoi and Aviram Sahu. Other star casts of the film are Harihar Mohapatra, Papu Pom Pom, Pradyumna Lenka, Anisha, Mantu, Prince, Anita Das, and Sambhu. The music of the movie is done by Prem Anand, edited by Rajesh Dash, dialogue by Basant Raj Samal. It’s a story of an uneducated village boy who doesn’t know how to talk in English. But situations force him to go abroad for his love. There he faces lots of problems due to his language and various other reasons. Whether he wins his love or not? To know what happens after this, you have to wait till Dussehra 2017. It’s a romantic hilarious comedy subject. And it will be loved by one and all. For the first time, you will see lovely village locations with outstanding foreign locations. Which is totally contrast in nature. For the first time in Odia movie, you shall get such kind of locations. And audiences shall get 100% entertainment, claimed the production house.